Where would you rate Legion right now? I was pretty excited when Legion was announced at Gamescom 2015. At the time, I was only playing Warlords on the most casual of levels. Tanaan Jungle had been out for over a month, I had little to do. I was hopelessly bored. Legion promised something far more interesting than what we got with Warlords. When the expansion began testing, I knew it was different — better than Warlords by a long shot. Since then, Legion’s only continued to climb the ranks of expansions I hold dear. Right now, Mists of Pandaria is still clinging to the top spot — barely. I think the biggest thing Mists had working against it was the long, long delay of no content between Siege of Orgrimmar and the release of Warlords. I have a few other minor quibbles — the maze of repetitive daily quests to grind rep wasn’t my favorite. But the story? The story was brilliant. I’m getting the same kind of feeling with Legion, and if I had to rank it right now, it’s a solid second place. The amount of story we’ve been given in the expansion so far has been pretty staggering. We haven’t exactly had a lot of faction development, but we didn’t need it. The other stories we’ve been given are more than enough to hold my attention. Between the Emerald Nightmare, the exquisite development of Suramar, and finally getting to traverse the fel-shattered ruins of Argus, I’ve gotten a veritable flood of new lore to dive into and discuss. Right now, it’s second in my personal ranking, and it’s breathing down the neck of Mists. If we get a faster turnaround with the next expansion — no matter what it happens to be — I think it’ll take over that top spot. That year-long delay between expansions dulled what could have been perfection as far as Pandaria was concerned. 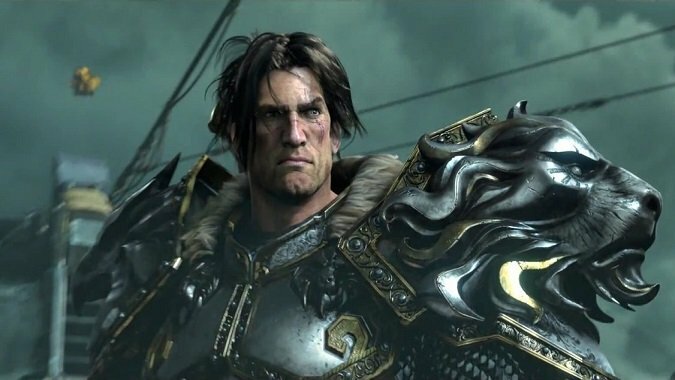 I’m interested in seeing if Blizzard has learned its lesson, and Legion will get a satisfying ending without an excruciating delay before we move on to what’s next. I’m curious though — I like Legion a lot, obviously. But I also tend to base my ranking on story and lore, rather than gameplay. Where do you guys stand? If you had to rate Legion against WoW’s other expansions right now, where would it place? If it’s not at the top of your list, what could push it up there?